It’s happening; Summer really is right around the corner. The Lilacs are in full bloom and the grass is growing like mad. Our neighborhood trails that were nice and easy to follow a month ago are getting pretty overgrown; we might have to start going out to the park a bit more to avoid all the nasty prickers and brambles. Have I ever told you how much Laika complains when it’s time to pick off prickers? It’s a lot, and it’s loud. I’m gentle about it too, I really am. Is this even a trail anymore? 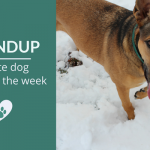 It’s the weekend which means it’s the perfect time to wrap up with my picks for the best dog articles, deals, and videos of the week. 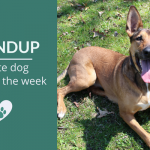 From dogs taking their own photos to the awesome difference jail dog training programs make here’s some of the highlights from what I read this week. Hope you enjoy them as much as I did. If you come across any great reads, deals, or videos this week leave them in the comments below or send ’em my way. Laika and I wish you a wonderful Memorial Day weekend. I’ve been sitting with an empty post named “Who do We Save if We Can’t Save them All” for months; I have so many thoughts on the subject but have found it nearly impossible to put into words. It’s a tough subject to write about but I think the author did a lovely job showcasing the realities of facing limited resources and the tough choices rescues have to face when it comes to choosing who to save. 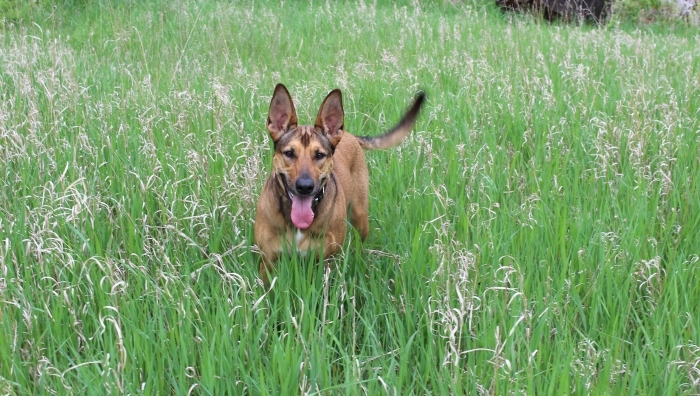 A light hearted look at embracing some of the changes that occur in our dogs senior years. Being scared of thunderstorms and fireworks; not a problem anymore. I commend anyone who can take on such an emotionally taxing job; I know I’d be a mess. These portraits are amazing, and something the owners can cherish forever. Here’s a great look at the new jail dog training program started in September of 2014 in Miami-Dade County. The program has two goals; teach non-violent inmates a skill they can use upon release and provide shelter dogs a second chance at life. It might not have been the cave men 15,000 years ago that domesticated dogs after all. New research based upon a bone fragment found in Siberia has found evidence of the split from wolves to dogs occurring around 35,000 years ago. Studies have shown that around 50% of children are bitten by dogs before the age of 12; although most are minor there are many that go unreported and some that prove fatal. Here’s a close look at the 256 dog bite fatality cases that were reported between 2000-2009. The researchers focused on identifying preventable factors. 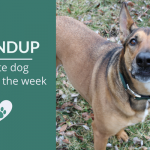 It’s National Dog Bite Prevention Week and there’s been so many wonderful articles and resources shared over the past 7 days. Here’s a great list to bookmark for some must read bite prevention resources and articles. Such a great foster father to this little kitten. 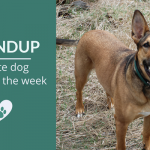 The American Veterinary Medical Association (AVMA) released this great infographic as well as many other free resources for National Dog Bite Prevention Week which aims to educate people on preventing dog bites. « Sweet Fred Needs a Second Chance – Detroit, MI – Adopted! 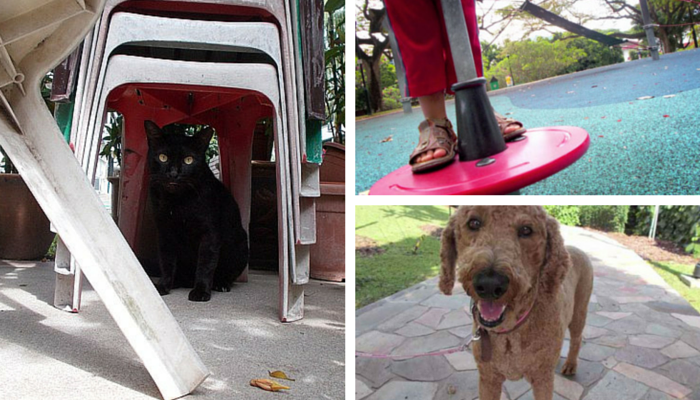 I always really enjoy your weekly roundups! This week there were so many great articles!